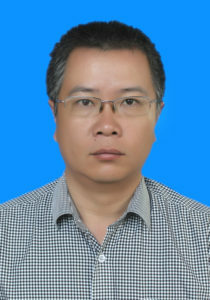 Dr Qinglin Guo as the vice director of the Conservation Institute of Dunhuang Academy. He works on conservation of the grottoes and ancient earthen archaeological sites since graduated from the Geology Department of Lanzhou University in 1999. He got his doctorate of engineering in December, 2009 from Civil Engineering and Mechanics School of Lanzhou University of China, and his researcher fellow title in March, 2015. He visited the Getty Conservation Institute and Tokyo Cultural Heritage Institute for a short term. He takes part in two international cooperation projects of Dunhuang Academy and Japan, 13 research projects on the heritage conservation and the investigation and design of the more 20 projects of conservation Grottoes and ancient earthen sites as the key member in China. He had published more than 40 articles, 4 books and as the technical expert, he has engaged in the consolidation project of the Mogao Grottoes, Yulin Grottoes, and Western Thousand Buddha’s Grottoes in Dunhuang of China. Guo Qinglin, Hiromi Takabayashi, Toshio Nakamura, etc. Radiocarbon chronology for early caves of the Mogao Grottoes at Dunhuang, China. RADIOCARBON, Vol 52, Nr 2–3, 2010, p 500–510. Guo Qinlin,Wang Xudong,Zhang Huyuan, Li Zuixiong,Yang Shanlong. Damage and Conservation of the High Cliff on the Northern Area of Dunhuang Mogao Grottoes, China,Landslides. 2009,6(2):89-100.